This question cuts right to the heart of the efforts you make and the results you produce. 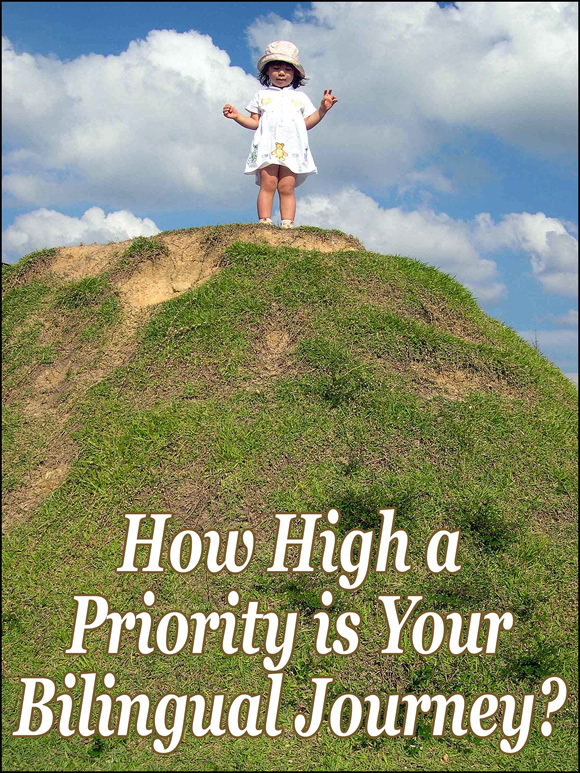 If you’re not satisfied with those results, it would be wise to look long and hard at how high this priority really is in your life. This challenge has prompted a wave of constructive thinking and discussion among members of The Bilingual Zoo community. If, like most of us, you must work hard to maintain sufficient exposure to the minority language, amid busy days in a majority language environment, this is a conversation worth joining. And, in particular, if you feel dissatisfied with the results you’ve achieved to date, I urge you to pause and pursue this challenge. After all, if you’re not realizing your hopes for your children, isn’t it best to either make this a higher priority—and make more proactive efforts—or, otherwise, set lower expectations for the outcome? To see all the current challenges at The Bilingual Zoo—challenges that can empower your efforts and boost your children’s bilingual development—visit the Take a Challenge board.